Before Resume Planet came along, jobseekers either made a valiant attempt at putting together their own CV, or took the risk of using really cheap CV writing services that produced shoddy work. This really wasn't the smartest move, as a bad CV can ruin your chances of so much as landing an interview. Recruiters are often overwhelmed with applications for every single job, so they really don't need much of an excuse to dismiss a CV. This makes it vitally important to create the best CV you can, so that it stands out from the crowd and makes the company want to interview you. Resumesplanet was created as a response to the need for a really good professional CV service in the UK. Since the company was founded, we've been creating top-notch CVs for appreciative people, who know that in a competitive job market they have to work hard to make their application stand out. Our mission is to provide our clients with a superb CV that will help them secure the job they want. Of course we can't do everything - it's up to you to impress the interviewers - but we will make every effort to ensure that you receive a fantastic CV that will get their attention. Using a CV service is a clever move - but only if you pick the right one. 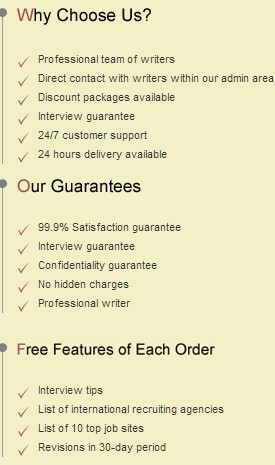 Far too many people make the mistake of thinking that anyone can provide CV writing services. Certainly anyone can write a CV - though not many will be more than competent, and some will even be downright awful. Putting your CV in the wrong hands could mean that your application won't even be given more than a momentary glance before being thrown away for being too long or using an unsuitable font. It's essential to look for the best CV writing service you can find in order to boost your chances of success. 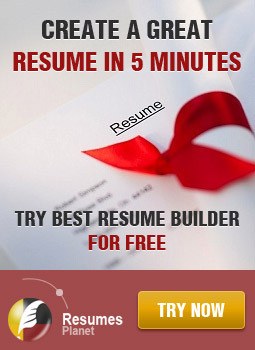 We founded Resumesplanet.com so that we could offer top-quality CVs and resumes to people around the world, and we've gone from strength to strength ever since. Our company understands that having a first-rate CV allows you to get your foot in the door, and every time one of our grateful clients reports that they've been called in for an interview or that they've been offered the job, we're delighted to learn of their success. And we modestly credit ourselves with playing a part in their success. Our UK branch uses British writers, something that's really important if you're applying for jobs in the UK. If you used an American service, you'd run the risk of being delivered a resume - and although it's the same thing, it would simply look wrong to use American terminology when applying for a job with a British company. But there's far more to our company than just that kind of attention to detail. We deliver CV services that have helped many jobseekers secure the career they'd love. Our writers are experienced professionals and understand exactly what the perfect CV needs to make it stand out. The fact is that you need the best CV service if you're going to beat off the competition - and you've found that right here. We promise you an outstanding CV that will be carefully checked by our editors, delivered on time, and to your complete satisfaction. If you're not happy with any part of it, just say so, and we'll work on it until you're delighted - which we're sure you will be.